With a focus on the role of discourse and language in education, this book examines China’s educational reform from an original perspective that avoids mapping on Westernized educational sensibilities to a Chinese environment. Zhao untangles the tradition-modernity division expressed in China’s educational language about the body and teacher-student difference. 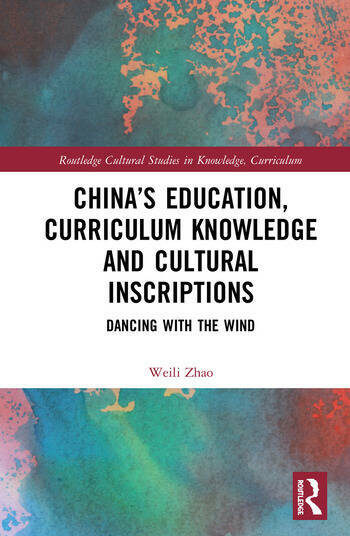 Exploring the historical and cultural implications of the ways China’s schooling is talked about and acted upon, Zhao argues that Chinese notion "wind" (feng) is a defining aspect of Chinese teaching and learning. Incorporating Western and Chinese literature, this book explores the language of education, curriculum, and knowledge on a cross-cultural landscape and as cultural inscriptions. Weili Zhao obtained her Ph.D. from the University of Wisconsin-Madison, USA in 2015 and is currently an Assistant Professor in the Department of Curriculum and Instruction at the Chinese University of Hong Kong. With intellectual training in both discourse analysis and curriculum studies, she is interested in unpacking China’s current educational thinking and practices at the nexus, and as the (dis)assemblage, of tradition and modernity, East and West. Specifically, her research explicates the historical-cultural-philosophical insights of Chinese knowledge, curriculum, and educational thinking to hopefully dialogue with, for mutual informing and clarifications, the latest intellectual turns (say, the linguistic, body, cultural, study, affect turns) in the Western scholarship.